An introduction to who Tia is as a millennial and a wife, and what the Millennial Wives Club is all about. Thanks so much for stopping by..
My name is Tia and I am the Founder of The Millennial Wives Club, a lifestyle and fashion blog dedicated to Millennial women who are dealing with major transitional life events, such as marriage, motherhood, career, new location, and a new identity. I've been married since July 16, 2016 to my Problematic Bae who is the main inspiration behind my blog posts. We had a very "millennial way" of how we first met and you can read about how this millennial marriage started by reading "It Goes Down in the DM" and "I Transplanted for Love". Reading the blog will reveal more about me and my personality than this About page. Just know we are NOT the "perfect Instagram couple" and that I'm one of the realest women you'll ever know. I can't help but to be transparent and to be myself. The real me is not the perfect Bible Wife though I do love the Lord, loves switching my hair up, enjoys having brunch dates with strangers, is very family oriented, the strong friend, creative and random, always has a million things going on but always makes time for the people I love, the life of any party, the dependable one, and so much more! There isn't one word to describe ME, which is why I created TIAesque. TIAESQUE IS A CREATIVE SPACE DEDICATED TO my style. The first thing they tell you when you start a blog is to think about a specific audience and to decide on a niche. So in the case of this area, I guess I'm the niche, lol. I'm a real person with many thoughts, opinions, different experiences, multiple interests, and lots of adventures. After being married for about 3 months in 2016 and feeling like my identity was being taken away; I soon realized that transitioning from an independent Miss to a Millennial Mrs. would not be be an easy journey by myself. The Millennial Wives Club was created to bring support to myself as well as other Millennial women who are dealing with major transitional life events, such as marriage, motherhood, career, new location, and a new identity. 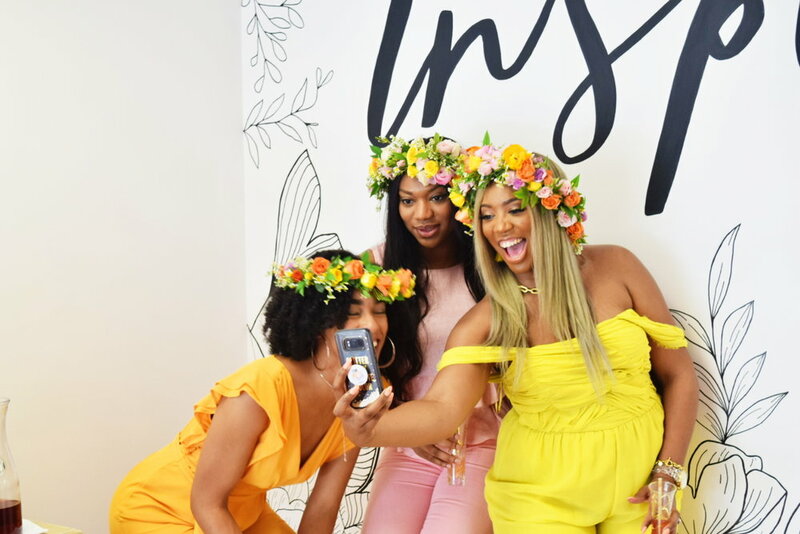 The goal and mission of The Millennial Wives Club is to figure out life together and to be supportive of wherever you are in life so that you know that you are not alone. I do believe this community is a vision sent by God and serves to be my purpose in life. I would like to be most known for my transparency, humor, positivity, and authenticity on the blog and in real life. We currently are living in a quid pro quo world, this isn’t that. I created this community to be the home of transparency, genuine relationships, and women with a passion to help other women. As wives, we need a club especially one with other young wives new to marriage mixed with seasoned wives that we can learn from and singles who can learn from us. Time has changed since our parents days of marriage and sometimes you just need to vent, sometimes you need a sanity check, sometimes you just need girl time with other women who can relate to you. We are ALL in this together!